I absolutely LOVE Key limes and I am fortunate enough to have a Key lime tree in my yard. Each spring I impatiently wait for the tiny, sweet smelling blossoms to form that I know by September will finally be ripe Key limes perfect for Key lime pie, Key lime bars and Key lime margaritas. Key limes should be yellow when used. They are often picked green for commercial purposes but that does not mean they will last longer or even turn yellow after picking. Key limes are small, about 1 -2 inches in diameter, have a delightfully strong aroma, lots of seeds and a thinner rind than the more popular and common Persian lime. Key limes have a more tart and slightly bitter flavor. Key limes are native to Southeast Asia and ultimately came to the US with the Spanish explorers via the West Indies, probably into the Florida Keys where they got their American name. Most Key limes sold in stores are grown in Mexico and Central America with Texas and California having few crops. The trees are very thorny so caution must be used when picking the fruit. 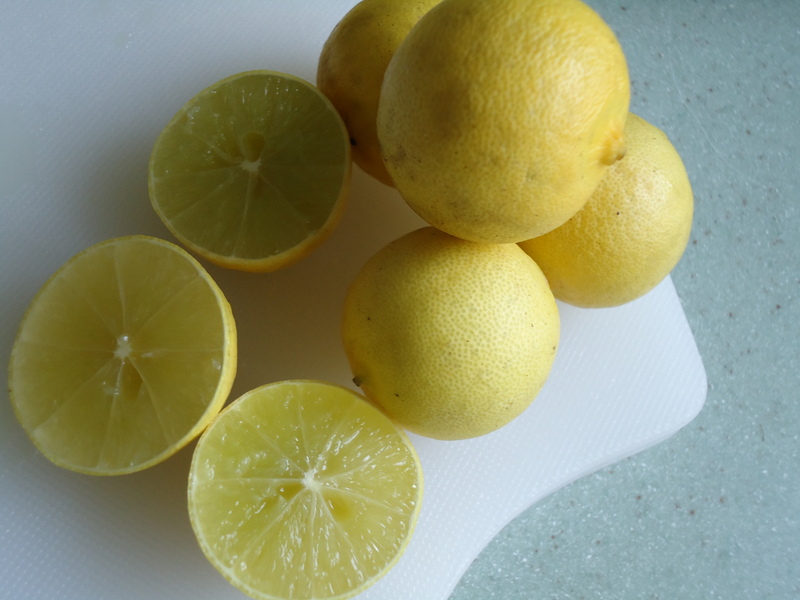 To properly harvest this lime, find the most yellow ones on the tree and GENTLY twist. If it comes off easily, it was ready to be picked. If it does not come off with one twist only, leave it to ripen a bit longer. You will be rewarded for your pateince with sweet smelling and juicy fruit.